As in the worlds of wine and whisky, when it comes to beer, blending is often an essential, if under-discussed, part of the process. The practice is most commonly associated with sours, particularly those hailing from Belgium, yet blending and brewing have traditionally gone hand in hand. Historically, brewers would regularly blend old beer with new, while, to this day, even the world’s largest brewers mix batches to ensure consistency. In today's rapidly diversifying beer world, for brewers that rely on barrels within their production process, blending enables distinct flavours to be brought together to create something new and can help them find a place in which beer with otherwise off characteristics can add layers of appealing complexity rather than send drinkers looking for the nearest drain. 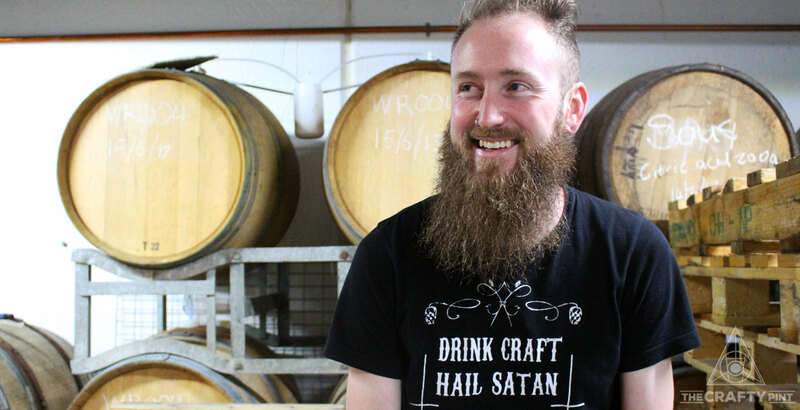 Topher Boehm, co-founder of and the inspiration behind Marrickville’s Wildflower Brewing & Blending, has long been fascinated by the process and has made it such a feature of the brewery it's... well, it's in the name. The brewery's reputation has been built largely upon its two core beers, Amber and Gold. Each is released with a different blend number and drinkers can follow their evolution, albeit as subtle variations on a theme rather than dramatically different beasts. And, says Topher, to ensure the beers are recognisably part of a greater whole, blending requires a consideration of separate and almost contradictory factors. “When we blend, we are looking for two things,” Topher says. “The first is a consistency with the brand, with the brand being Gold or Amber. “But we also have to pay respect to the cellar; our cellar is evolving just like our beer. Because the culture changes, the beer in the cellar is not all the same so we are inherently not going to be able to put out the same product all the time. Topher Boehm hosting Crafty Cabal members at his Marrickville blendery last year. But not all blends require that consistency, some blends are about bringing together certain flavours to create a wholly different final product. 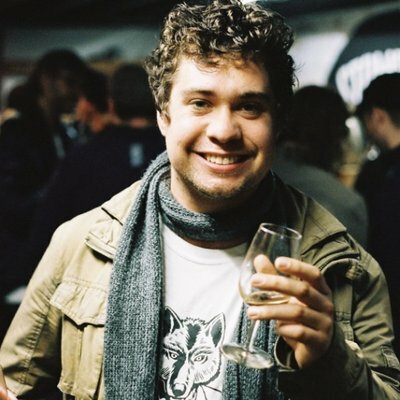 One such beer Topher has been involved in creating is Woods Of The North, a one-off collaboration between five Australian brewers created exclusively for the Good Beer Week event of the same name. Woods Of The North is 3 Ravens’ annual celebration of all things wood, an event centred around barrel aged beers and ciders, spirits and slow-cooked meats. For the 2018 incarnation, the host brewery worked with Wildflower, Boatrocker, Hop Nation and Sailors Grave to create a blended beer just for the day. Though the beers included in the final blend are drawn from a few styles – some were mixed ferments with wine – each was light, pale and inspired by farmhouse brewing. 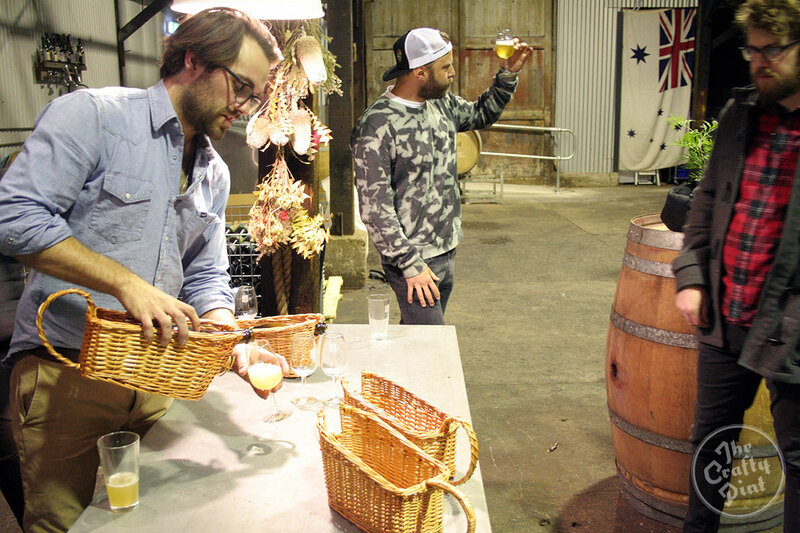 3 Ravens’ head brewer Brendan O’Sullivan (pictured at top) says, though the concept has some currency among American wild brewers, and HORAL (a Belgian council of lambic brewers) has produced blends between its members in the past, he’s had trouble convincing other Australian brewers to collaborate on a blend. Though collaborative brews for events are nothing new, taking barrel aged beers from five separate brewers and blending them to create a final beer is a different beast (or congregation of many little beasts) altogether. Crucially to the project, each beer spent time ageing and developing long before any of the brewers even knew they’d be involved in the event. Which begs the question: how did you know the final beer would actually work? Thus a major concern some of the brewers had was that the final beer could be muddled, that too many competing flavours would fail to work in harmony and result in an unholy mess. Brendan says he well understood those reservations, which, as its curator, became his own when the new blend was in its infancy. “Early on, I had some concerns as diacetyl popped up and it got quite ropey; I did wonder if it would be ready in time for the event,” he says. A spot of hands on, syringe-assisted blending at Tallboy and Moose. The Cabal blend will be launched at Good Beer Week 2018. He's not wrong. The Crafty Pint team was lucky enough to snaffle a couple of bottles of the beer that will be given to attendees at the event and it's a treat for fans of such complex, Belgian inspired sour beers. Like barrel ageing itself, to blend beer is to accept that, at times, some of it is going to end up down the drain. At the same time, while that may be true for any brewer, whether they are making pilsners or tributes to lambics, wild beers also allow brewers to add many different yeasts, cultures and resultant layers to the mix. As attendees at a recent Crafty Pint Wild Blend at Tallboy and Moose discovered, even a beer you might find hard to bring close to your nose without recoiling can play a role in a blend if used judiciously. Topher admits to disposing of some beer at Wildflower but says it's often best practice is to hold onto such barrels. For Brendan, even beers that do pick up overpowering characteristics, be they aromas of burning tyres or soiled nappies, can improve with time. Even if those undesirable elements remain, they can still have a role to play. “Acetic acid can be offensive in high quantities because it can be quite burning, and the associated aromas can be full on and offensive, but in small amounts in a blend it can contribute juiciness and a pleasant acidity," he says. If you'd like to pick Topher and Brendan's brains plus those of other barrel ageing brewers – and get your hands on the Woods Of The North blend – you can snap up tickets here. You can find out more about blending and see what our Crafty Cabalistas came up with at Tallboy and Moose too, while the full Good Beer Week program is online here.